Anthony graduated from Monash University Medicine with Honours in 1997. A period of general medical and surgical training followed at the Alfred hospital Prahan. In 2001 Anthony moved to to Royal Womens Hospital Melbourne and has been working in Obstetrics and Gynaecology ever since that time. 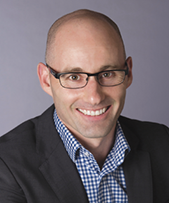 Anthony is a fully qualified specialist obstetrician and gynaecologist and is a Fellow of the Royal Australian and New Zealand college of Obstetricians and Gyanecologists. Anthony works in public Obstetrics and private Gynaecology. He is a consultant obstetrician at the Women’s hospital Parkville where he is the Medical Director of the Birth Centre. Since taking on the Director role Anthony has closed his private obstetric practice but can still see limited patients for shared care. Anthony is involved in undergraduate medical student teaching and the teaching of trainee specialists. Outside medicine Anthony has 3 school aged children and a busy family life. Recreational interests include running, triathlon, surfing and skiing. Anthony is a member of the Yarra Triathlon club, The Brisbane Lions Football club and a sponsor of the Brunswick Hockey club.